While not as volatile as the financial, capital or commodities markets, the rental property market and the entire property market, for that matter, could change over time due to certain economic developments. In the St. Louis, Missouri area, for instance, the recent wage growth seems to disfavor rental properties. In one recent research, wage growth in the county showed wage growth outpacing home price appreciation. One of its potential implications is that houses are becoming more affordable to a growing segment of the population. And it’s becoming more attractive for folks to buy a home rather than rent. Related to the above, your rental property may no longer be delivering your desired or projected return like before. One tell-tale sign, of course, is a reduced cash flow as a result of a high vacancy rate on your rental property. Over time, a steady decline in your rental income would lead you to think of bailing out, sell house fast and use the proceeds for more rewarding investments. As time goes by, investment strategies as well as personal goals change in tandem with economic shifts and opportunities. It is a truism among smart investors to divest items in their investment portfolio that aren’t meeting both their financial and personal goals. Your decision to become a landlord may no longer be giving you that personal satisfaction. Which translates in your waning attention to the business. In turn, this would be detrimental to its growth, and the declining profitability may already be a manifestation of a change in your mindset. You may no longer as motivated or excited about the rental business as before. If you feel that being a landlord is burning you out, it may be time to sell house fast and consider a career shift. Smart real estate investors know it’s time to sell house fast. When the quality of life in their rental properties’ neighborhoods begin to decline. They know it’s time to plot a retreat when blight has begun in the community or the crime rate has gone up. Corollary to this is the problem with tenants, which is already a normal part of real estate investing. You’d likely to have more of these headaches in a deteriorating neighborhood. There’s this problem too with government regulations regarding unruly tenants. A growing number of cities are imposing penalties to landlords for criminal activity on their rental property grounds. Repairs that have become bigger are indicators that you may be better off to sell your house fast. Analyze your maintenance costs which could jeopardize your profitability over the long term. Or simply look at it this way. If you’re an investor, would you buy your own rental apartment? If you’re answer is “No,” it’s definitely time that you consider us at House Sold Easy. As experienced real estate investors, we have the capability to upgrade any outdated or outmoded properties. 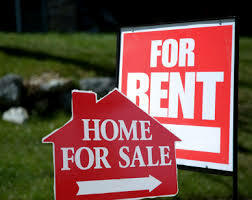 If you feel that based on the above your rental is no longer an asset but a liability, call us at 636-525-1566. We’ll give you a free, no-obligation quote for you to sell house fast.